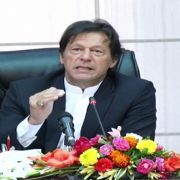 ISLAMABAD (92 News) – The Election Commission of Pakistan has suspended its two officers on the charge of leaking the map of delimitation of the constituencies. Deputy Director Budget Muhammad Sarwar and Deputy Director Elections Atif Rahim have been suspended for three months. Both officers have been suspended on the order of the chief election commissioner.